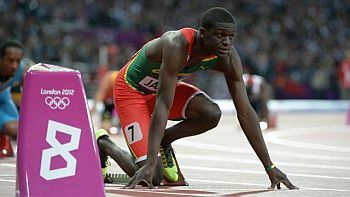 Call him flying man.He is Kirani James,World and Olympic 400 metres champion. On Thursday,James won the 400 metres event at the Golden Spike Meet in Ostrava and broke his own record. Earlier this Grenadian runner had chased down another outstanding quarter-miler’s achievement – the meet record of 44.70 set by Cuban Alberto Juantorena in 1976. Page rendered in 0.0864 seconds.